Entrepreneurship is a discipline not seen enough in everyday business the qualities, skills, and mindset required are often daunting and also can be considered just to risky by many experienced people in business. With economic conditions constantly changing with new governments and bureaucrats changing important business , employment regulations the challenges for Entrepreneurs are huge but with a true passion Entrepreneurs can succeed and succeed big! because to dream big and achieve big results takes inspiration and the correct mind set and timing. Surrounding oneself with similar minded people and successful people will inspire and help create the right mind set to establish a good solid business plan / model for funding the start up company but this can be as challenging as becoming an elite athlete in the sports world. Business milestones such as planning, niche products, patents and going public with shareholders takes guts and determination in a digital business revolution we are witnessing like never before in history. 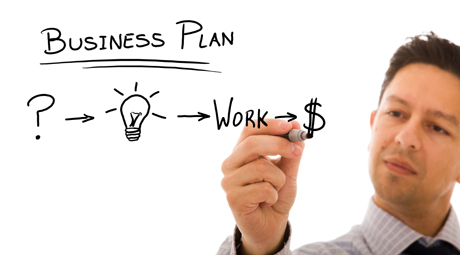 A business plan should investigate all aspects of a proposed niche business with no area's left uncharted taking all factors into consideration with good emphasis on market timing. Everytime you fail you get stronger and stronger....this gives you the skills and strength to move forward you can handle anything they throw at you. Area's to focus on are intensive and can help paint a complete business picture so investigating topics such as Demographics, product demand, competitors, financing, regulations, timing are all important factors to understanding the concept and creating a thriving startup business plan. Going out and asking people in a similar business if they could give you 5 minutes of their time and ask as many questions as possible relating to the topics above. Understanding the mindset of true great Entrepreneurs are great inspirations you will find that they never give up even if they fail they dust themselves off and come right back into the arena maybe change course but they never give up so surrounding yourself with like minded people can inspire and also support a new venture in the business world. Your mind is your biggest obstacle and understanding your strengths and weaknesses are keys to achieving big things developing your business plan you should think big just like many successful Entrepreneurs that started from a small bedroom with an idea and made it happen in the real world. We all have dreams nothing wrong with that but turning them into reality takes real determination there is nothing more inspiring than a person chasing there dreams and achieving success. This creates jobs and mentoring to our younger people they see that hard work, studies, experience and a positive creative mindset can create tangible results we all have this within ourselves never underestimate how powerful our brain can be when it is focused. Using our trained mind with technology we have the tools to create and study all aspects to creating dynamic niche business idea's so creating a business model and business plan are key things that can accelerate an Entrepreneurs success outcomes with no limits. Understanding your mind and training your positive thoughts to achieving success keeping a positive mind set can be achieved and accelerated with good business coaching helping you to achieve your goals they also can save you considerable equity and time as you mix and deal on a weekly level with like minded business people. Having the correct tools to deliver and develop your niche and build your business with the best Business Action plan with proven tools saving you time and many wasteful hours in developing and building a profitable business in any discipline. Understanding and having a community of real Entrepreneurs to help and inspire you with step by step coaching gives you a huge advantage sure it still takes hard work but everything you do is yours you own everything and you are your own boss in charge of your business and its yours lock stock an barrel. Using everyday principles to steer your business in the right direction and delivering good service or products to your customers at good competitive prices are some of the most important facts when owning and running a business this builds repeat customers they come back and back and that's gold. Brunswick Business Incubator has classes and business courses for all types of business Entrepreneurs in every discipline they have local facilities. BBI is a not-for-profit organisation that is jointly funded under the Commonwealth Government's AusIndustry Small Business Incubator Program, the Moreland City Council and the Victorian Government.